Manufactured in the USA by Chelsea Building Products. Call 1-844-494-7920 or inquire now online. Since 1975, Chelsea Building Products has pioneered the design and manufacture of meticulously engineered extruded profiles used in PVC and composite windows and doors, cellular moldings, composite flooring, exterior wall cladding, shutters, custom profiles, and more. From raw material to profile design, production line development to finished product, Chelsea engineers and manufactures innovative extruded building products like Everlast® Advanced Composite Siding entirely in the USA. 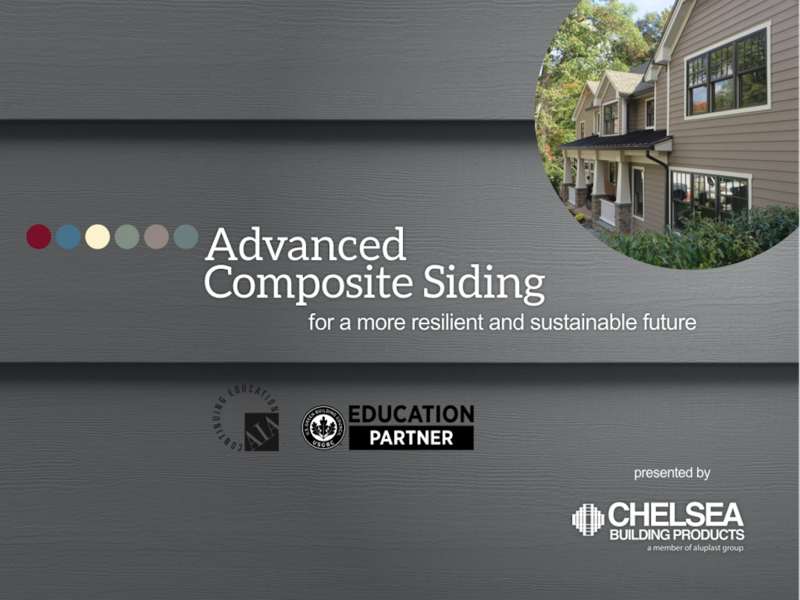 Designed for architects, the course explores the strengths and weaknesses of common siding materials used today in single-family, multi-family, and light commercial construction. 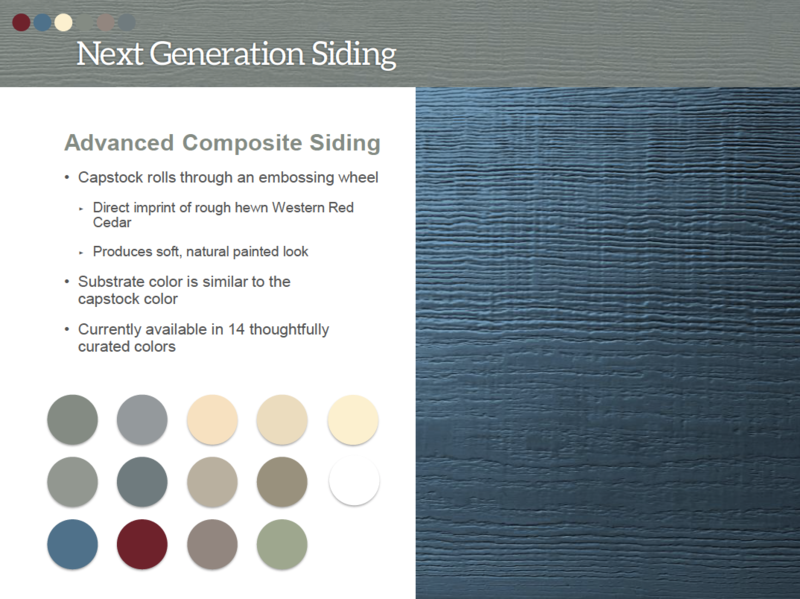 Wood, vinyl, engineered wood, and fiber cement siding products are discussed; contrasted with next generation advanced composite siding materials like Everlast® Advanced Composite Siding. Each siding material is analyzed in depth from a health and wellness, sustainability, resilient design, and cost perspective – topic matter appropriate for project teams pursuing LEED certification. 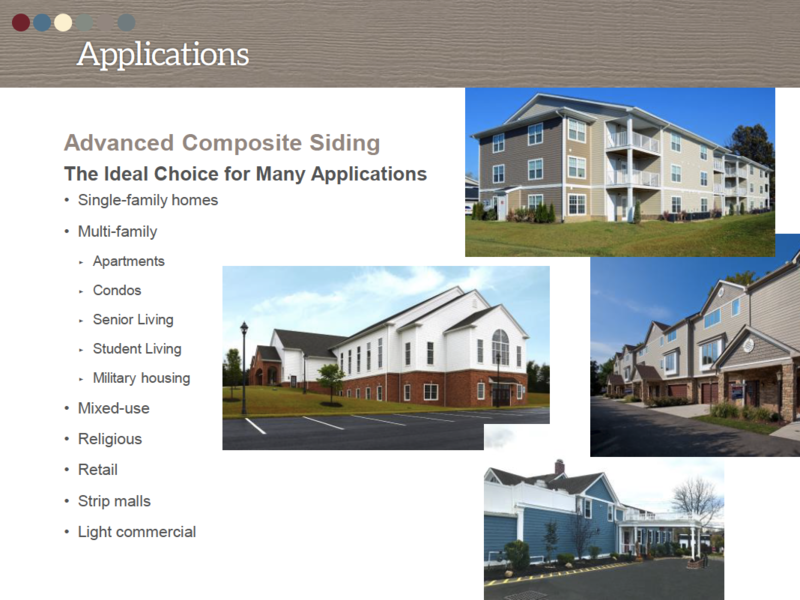 The architect will also understand how new advanced composite siding was developed, how it is manufactured, and its range of benefits. This one-hour in-person course fulfills one Health, Safety, and Welfare (HSW) Learning Unit. Participants who attend the seminar will receive AIA/CES credit and a certificate of completion. Since 1975, Chelsea Building Products, Inc. has been designing and extruding PVC and composite profiles for the building materials market. From its headquarters in Oakmont, PA, Chelsea Building Products is an integrated manufacturer providing product design, material development, extrusion tooling technology, and finished product to manufacturers and distributors throughout North America. It's time. The last time. To install the last siding your home will ever need. Contact Everlast for more information. 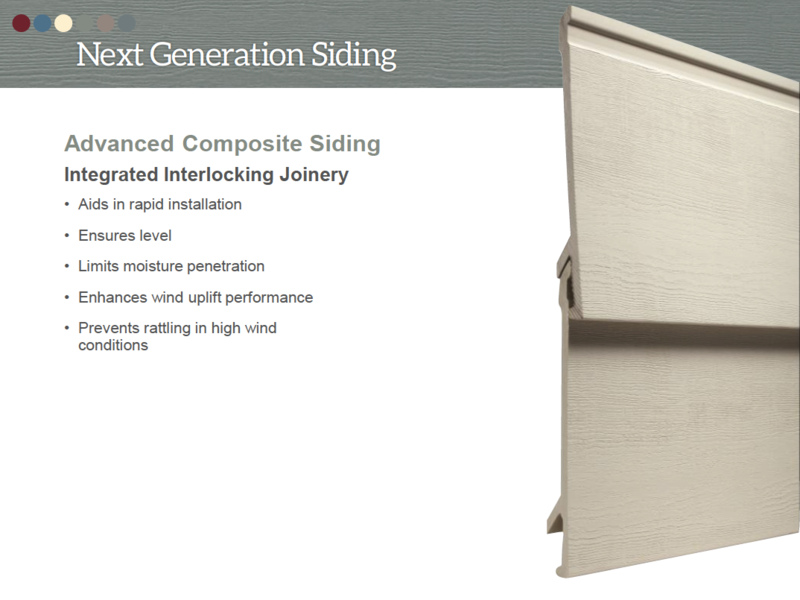 What is Advanced Composite Siding?